Model homes with the ZeroHouse 2.0 package open this month in Tampa (shown), San Antonio, and Austin. Homebuyers in a market with ZeroHouse will be able to customize their purchase using the KB Home Studio to include options like those found in the model. 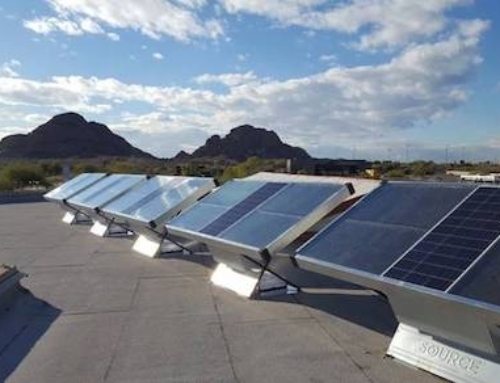 A key aspect of the ZeroHouse is solar power. 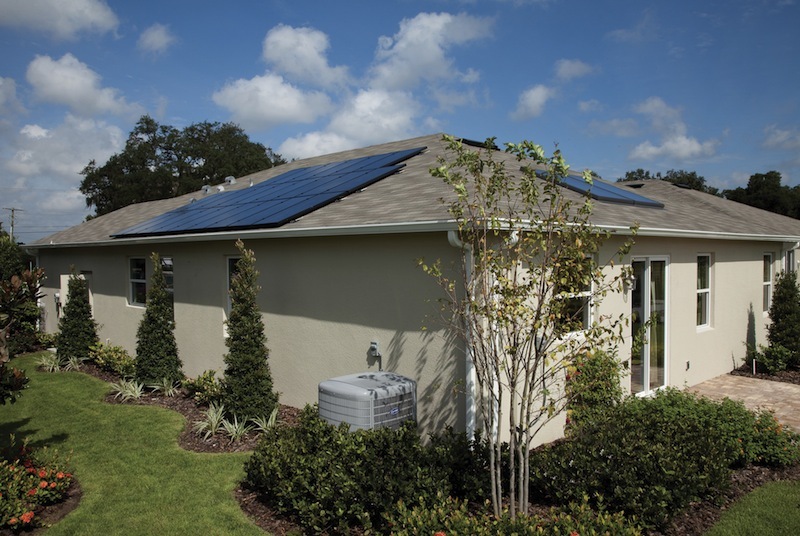 The Tampa home has both a solar thermal and solar PV (5.9 kW) system. It achieved a minus 5 HERS rating, according to Fine Homebuilding, meaning the model will generate a surplus of solar energy under normal operating conditions. 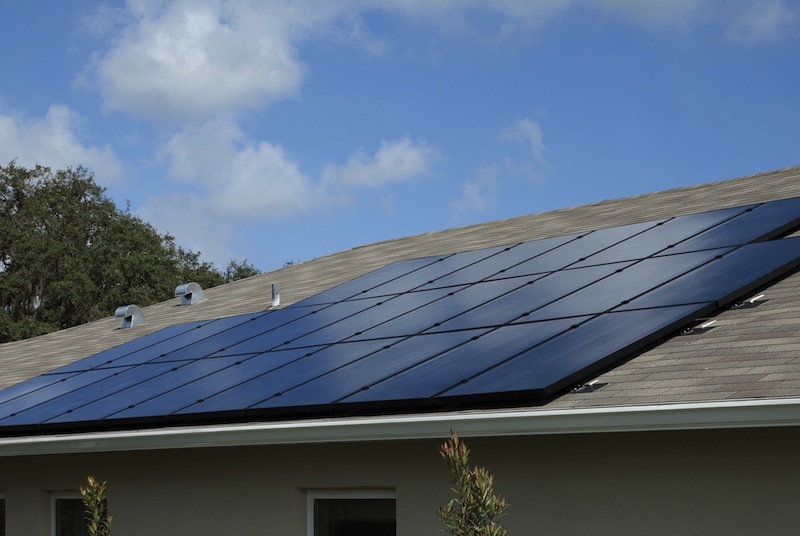 In addition to solar power, KB Home upgraded the performance of these homes with increased insulation, upgraded HVAC systems, and dual-pane, low-e windows. In the past, we’ve mentioned another Zerohouse, which is an award-winning prototype for a net-zero, modular, tiny home by Specht Harpman. Today’s announcement is not to be confused with our prior coverage of the Zerohouse prototype. What a ridiculous house. They are the builder! You’d think they could orient the house roof so the solar system is all aligned along the best angle for sun – but I guess its slow changing these old fogy homebuilders..
One would think a homebuilder would place solar panels for maximum solar gain. This home sets very close to a another home that will block the afternoon sun from hitting those panels.